Dental emergencies can be painful and nerve-wracking. Getting treated quickly is the key to relieving symptoms and preventing additional damage. Dr. Lily Eng, at Sunny Dental Care in the Lower Manhattan neighborhood of New York, is skilled in dental emergency care using state-of-the-art technology and advanced techniques to relieve pain and fix the damage that was done. For the best results in a dental emergency, see Dr. Eng. 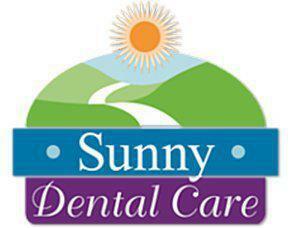 at Sunny Dental Care. What kinds of issues are considered dental emergencies? Healthy adult teeth that are knocked out can often be replanted as long as emergency care is sought immediately and as long as the tooth root remains in good shape. If an adult tooth is knocked out, gently rinse away any dirt using clear water, then try to place the tooth back in its socket, biting gently on a clean cloth to hold it in place. Call the office immediately or head to the nearest emergency room. If the tooth cannot be placed in the socket, place it between the gum and cheek or in a glass of water or milk. Be very careful not to touch the root since it can be easily damaged, preventing the tooth from being placed back in the socket. Although baby teeth are not replanted, it’s still important to see Dr. Eng to ensure the surrounding bone and underlying adult tooth are undamaged and possibly to insert a spacer to prevent neighboring teeth from crowding in toward the resulting gap. What can I do to reduce the risks of having a dental emergency? Teeth that are damaged or weakened by decay or disease are far more likely to be damaged than are teeth that are healthy and surrounded by healthy gums. Having regular checkups and dental cleanings every six months is one of the best ways to keep teeth and gums in good shape so many dental emergencies can be avoided. Avoid biting on ice or hard candies or chewing on other hard objects, and never use teeth as tools to pry or open things. Finally, wearing a mouthguard when playing sports is very important for preventing injuries. Mouthguards can be custom made to fit the patient’s teeth, providing more comfortable and more comprehensive protection than the mouthguards purchased over the counter.